What might you expect at a Residential Retreat? What might you expect at a Daylong? ** Heather will be teaching the Spirit Rock March Monthlong Retreat in 2019. Registration opens in early August 2018 through the Spirit Rock website. Registration will be open in November 2018. Contact Heather for further details if needed if you want to travel from the US. Attending an annual or biannual insight meditation retreat can be a wonderful support to deepen and enliven your practice. 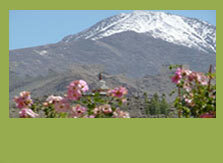 Residential retreats range from 3 – 10 days, and a few retreats are 30 days or more. Retreats are appropriate for both beginning and experienced meditators. A typical daily schedule starts at 6am and ends at 9:30pm, and is spent in silence with alternating periods of sitting and walking meditation. 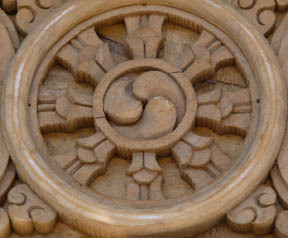 To support your practice and learning there are daily meditation instructions, time to ask questions and dharma talks. Every couple of days there is time to meet with the teacher, either individually or in groups. Meals are vegetarian and are prepared with health and nutrition in mind. Being supported by the group, the schedule, the silence, and meditation instruction are helpful for calming the mind, opening the heart, and deepening in insight. Attending a monthly daylong provides you with a day of quiet time for yourself amidst your busy life. Daylongs typically begin between 9-10am and last until 5pm. Alternating periods of sitting and walking meditation with instruction, dharma talks and discussion allow you to connect more deeply with the teachings and meditation practice.